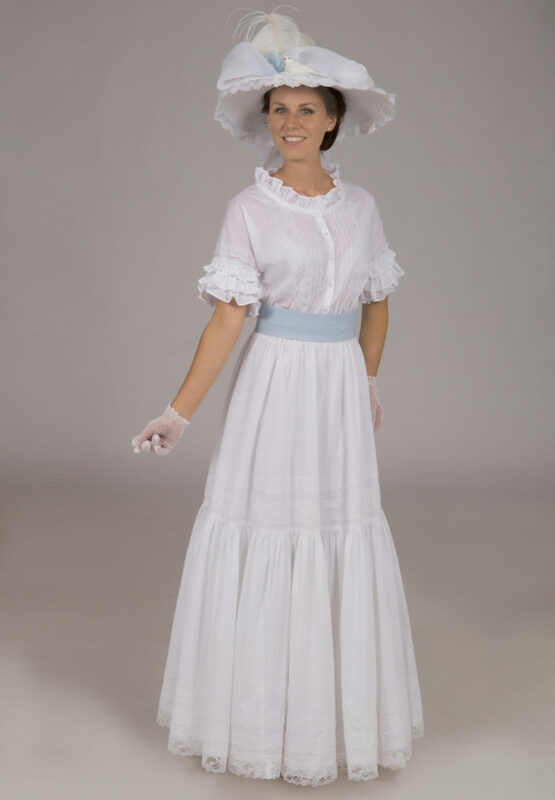 We’re always looking for interesting stories about the women and fashions of the historic eras that inspire our designs. Today we look at a female entrepreneur and someone whose name lives on in hair care to this day, Oh, and she was among the first women in the United States to become a self-made millionaire! But, she didn’t stop there. Who is this amazing woman? Her name was Sarah Breedlove and she was born on December 23, 1867, to recently freed slaves on a cotton plantation near Delta, Louisiana. When both of her parents died within a year of each other, seven-year-old Sarah moved to Vicksburg, Mississippi with her sister, Louvenia, and her brother-in-law. Life was not easy for the young girl. She and her sister worked the cotton fields. Her brother-in-law was abusive. At age 14, Sarah escaped her cruel situation by marrying Moses McWilliams. 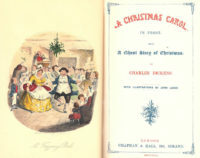 The couple had a daughter, Lelia (known as A’Lelia) on June 6, 1885. Two years later, Moses died leaving young Sarah a widow with a toddler before the age of 20. She moved to St. Louis where her four brothers had established themselves as barbers. She made a life for herself and her daughter there earning $1.50 a day as a washerwoman. It was enough to send her daughter to public school. She also met and married her second husband, John Davis in 1894. the marriage lasted less than 10 years. The 1890s were not kind to Sarah’s hair. She suffered from a scalp condition that caused her to lose much of it. Her brothers offered advice. She experimented with homemade remedies and store-bought items, especially those from Annie Malone’s Poro Company. 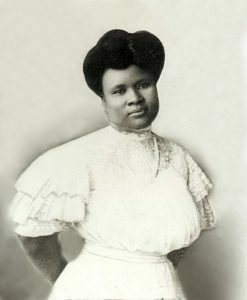 Malone was an early entrepreneur in hair care for black women. Poro offered Sarah a commissioned sales agent position in 1905. She accepted and she and her daughter moved to Denver. She also continued to develop her own products and business. Sarah married her third husband, Charles Joseph Walker, a newspaper advertising salesman she met while living in St. Louis, in 1906. He became her business partner in the venture, too. This is how she became known as Madam C.J. Walker. She marketed herself as an independent hairdresser and retailer of cosmetic creams. Her husband’s advertising experience proved beneficial in promoting the business but the biggest asset was Sarah going door-to-door teaching other black women how to groom and style their hair using her scalp condition and healing formula, Madam Walker’s Wonderful Hair Grower. By 1908, Sarah was ready to expand. By this time, her daughter was grown and part of the company. Lelia was left to oversee the Denver operation while her mother and step-father set out to grow the business. They traveled for 18 months through the South and Southeastern United States. Sarah demonstrated her hair care products in churches and lodges. The Denver office was closed in 1907. 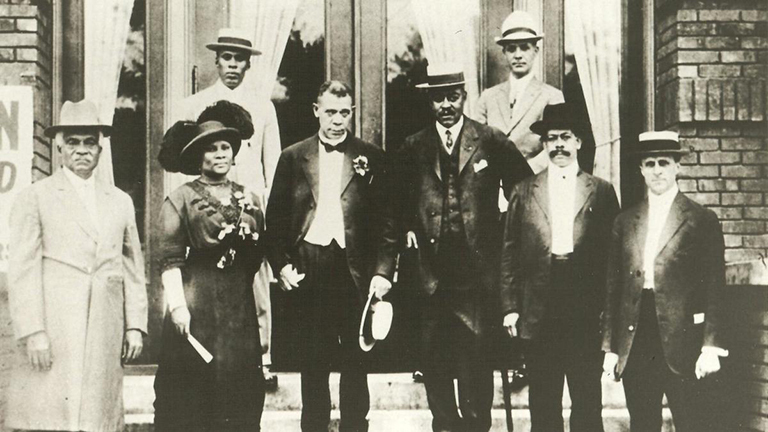 Walker opened a school to teach others how to be ‘hair culturists’ in Pittsburgh in 1908. Lelia joined them and ran the day-to-day operations from Pittsburgh. By 1910, Walker built a factory, hair and manicure salon, and another training school in Indianapolis, Indiana. She also added a lab for continuing research and development. Many of her employees, including key managers, were women. She and Charles divorced in 1913 but she kept the name that made her famous. She would forever be known as Madam C.J. Walker. Following the divorce, she promoted her business throughout Latin America and the Caribbean. Sarah’s daughter, now known as A’Lelia Walker, helped purchase property in the Harlem area of Manhattan. When Sarah returned from her travels in 1916, she moved into a new townhouse in Harlem. She eventually moved to an estate she built in Irvington-on-Hudson, New York. She named it Villa Lewaro. Once settled in New York, Walker immersed herself in the social and political culture of the area. She founded philanthropic organizations and made donations to other foundations and charities that focused on improving the lives of African-Americans in New York and Indianapolis. Sarah died at the age of 52 on May 25, 1919. The cause of death was complications from hypertension. When she died, she was the sole owner of Madam C.J. Walker. The company was valued at more than $1 million. Her personal assets exceeded $600,000. She left one-third of her estate to her daughter and the remainder to various charities. Her home is a designated National Historic Landmark. She was honored with a postage stamp in 1998 as part of the U.S. Postal Service’s ‘Black Heritage’ series. Her mark on business in general and women in business in particular is indelible. The company she founded still offers hair care products. We leave you with a quote related to business success and political activism. 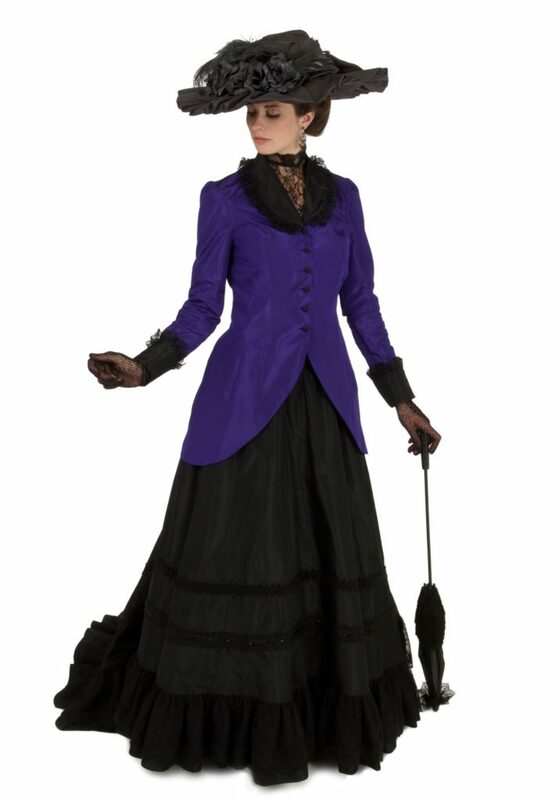 Recollections has a wide selection of Edwardian fashions. What might Madam CJ Walker have worn? 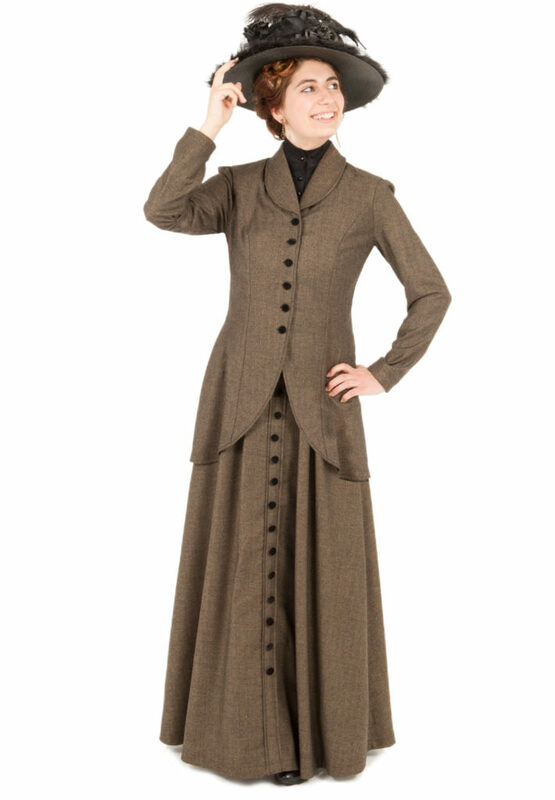 Perhaps, fashions such as our Alysse Edwardian Ensemble, White Batiste Edwardian Dress, and Frances Edwardian Herringbone Suit. Since first publishing this, a Netflix limited series about Madam CJ Walker’s life went into production. Oscar winner Ocatavia Spencer stars as Sarah in this eight episode series. Although air dates are not set, the Netflix web site indicates 2019. There was college M.C. Walker had in St. Louis. Was it called Pearl College. I remember my Grandmother said she went to a college in St Louis to be come a Cosmetology. Not sure the name of the school.